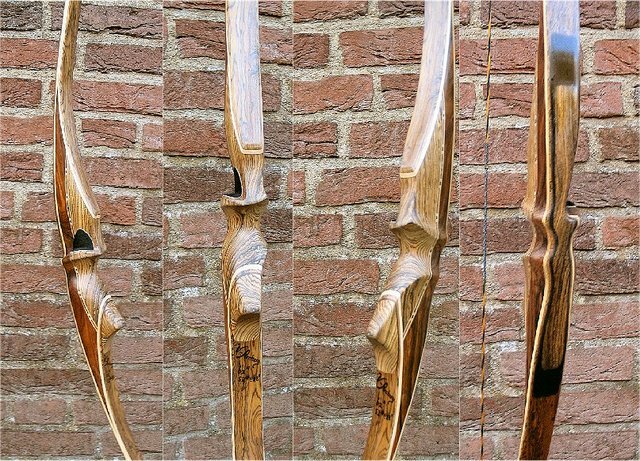 This R/D bow I have made for someone living in Ireland. 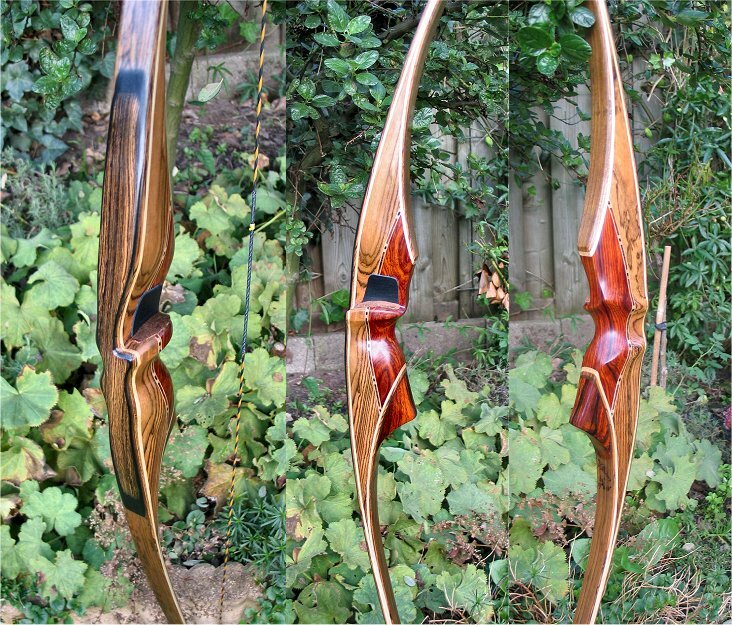 The limbs are made out of Ziricote under clear fibre glass having a bamboo core. 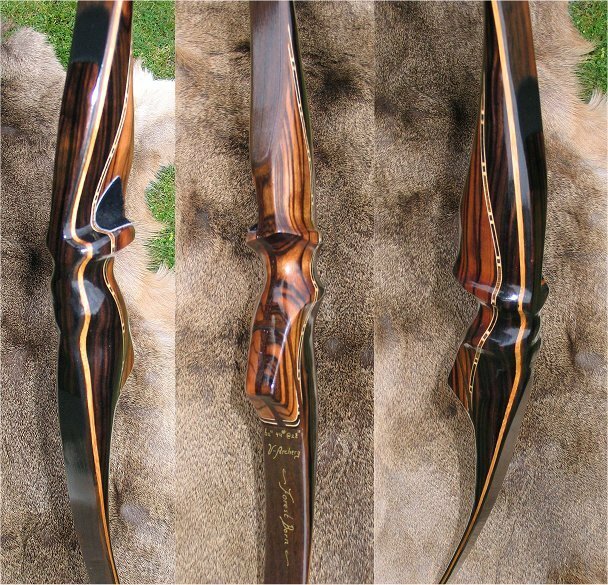 The riser is made out of Ebony and Bubinga, split by a mosaic stripe. 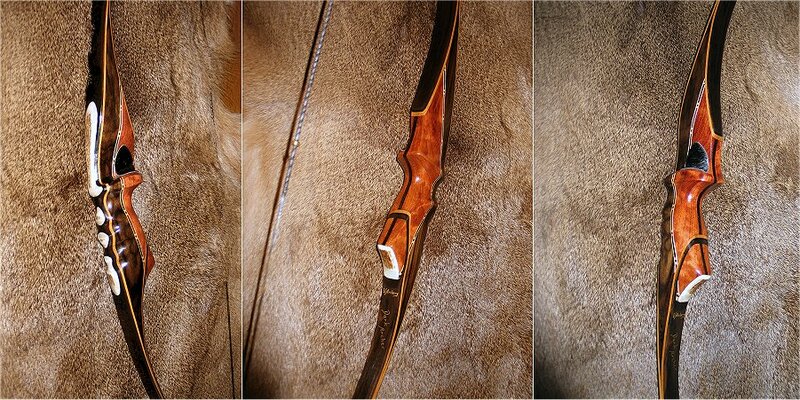 The overlay is made of antler pieces and black fibre glass. 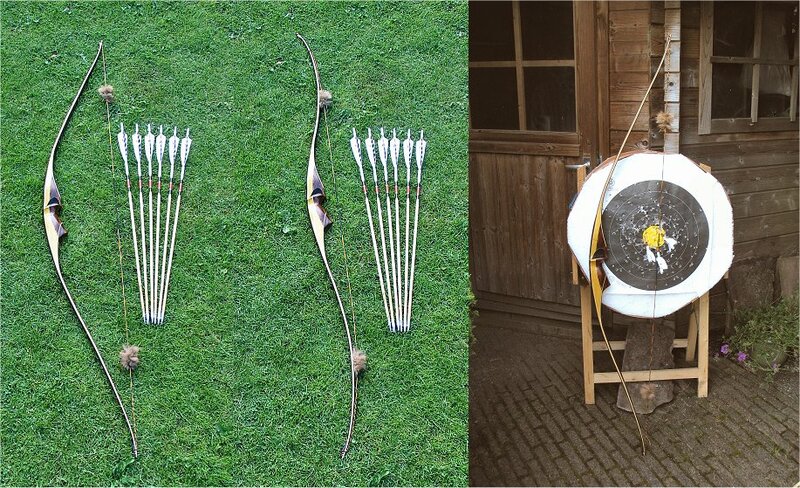 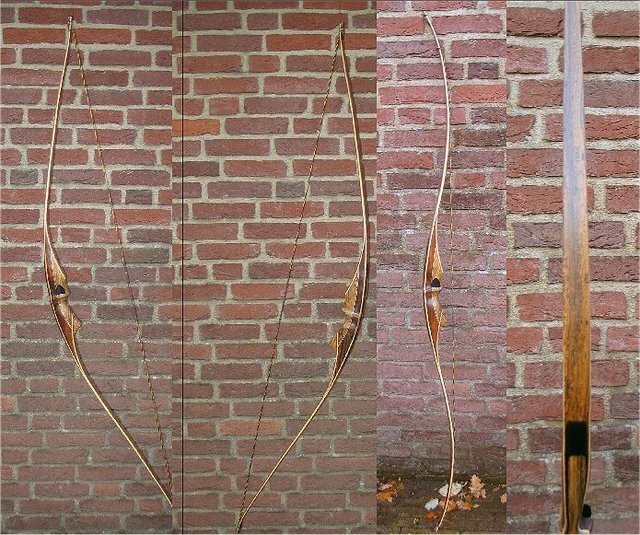 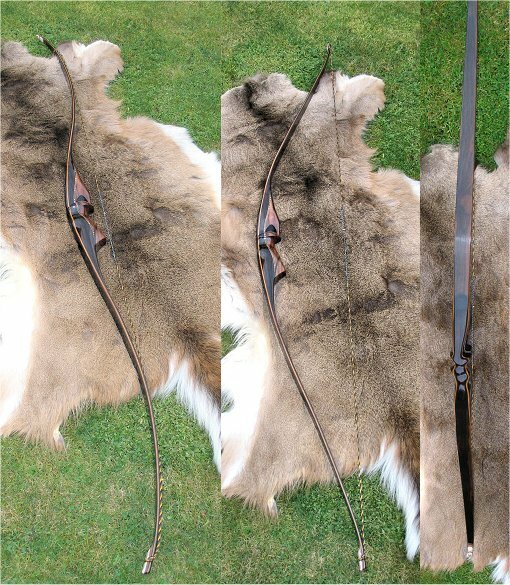 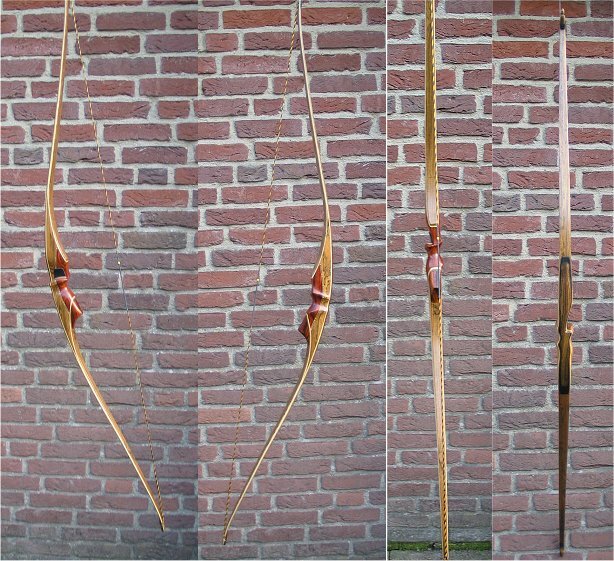 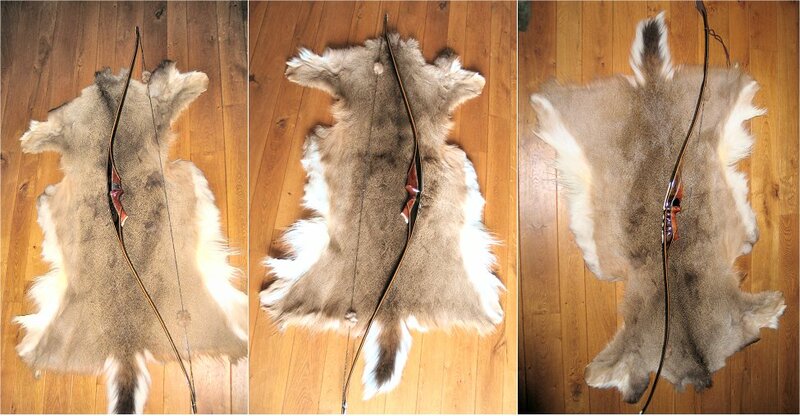 The bow is 64 inch long and has a pull of 45 pounds at 28 inch.